14 years have passed since the birth of Sonny Angel, who was born to make us all smile and add a little fun to our lives. From the corner of a room to a prominent display on a shelf, he has been delivering smiles and healing all around the world. Sonny Angel regular series has been “refined”; cuter and more stylish to deliver even more happiness. Rabbit, Elephant, Panda, Sloth, Tiger, White Bear, Cockerel, Dalmatian, Frog, Koala, Monkey and Owl. 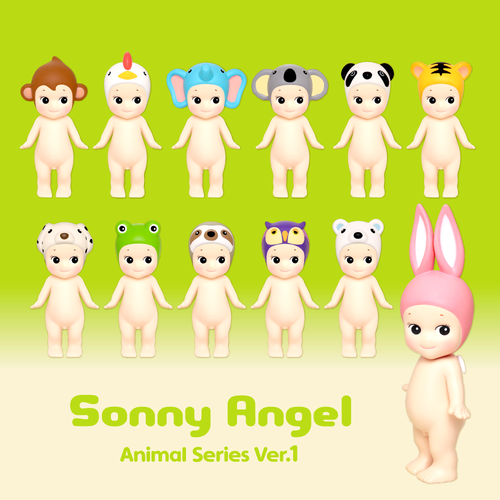 Sonny Angels are adorable tiny little naked dolls with little wings on their back and all with a different headgear. You collect them, play with them or put them on a little shelf in your room with other cute stuff that makes you smile. Suits both adults and kids! It's a surprise! He chooses you! 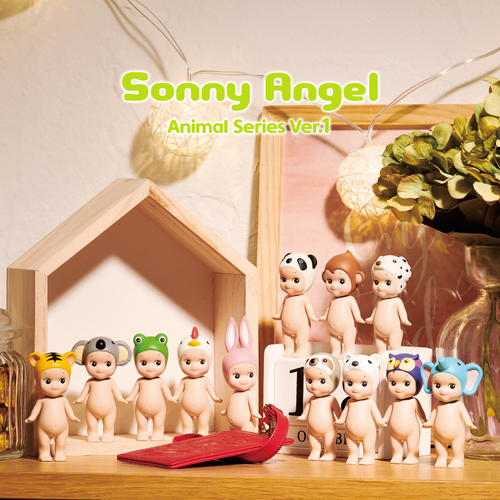 Sonny Angel is a collectors items so all figures are randomly packaged in blind boxes. * Please note that secret figure is not always in one assort box. Not suitable as a toy for children under 3 years. Small parts.